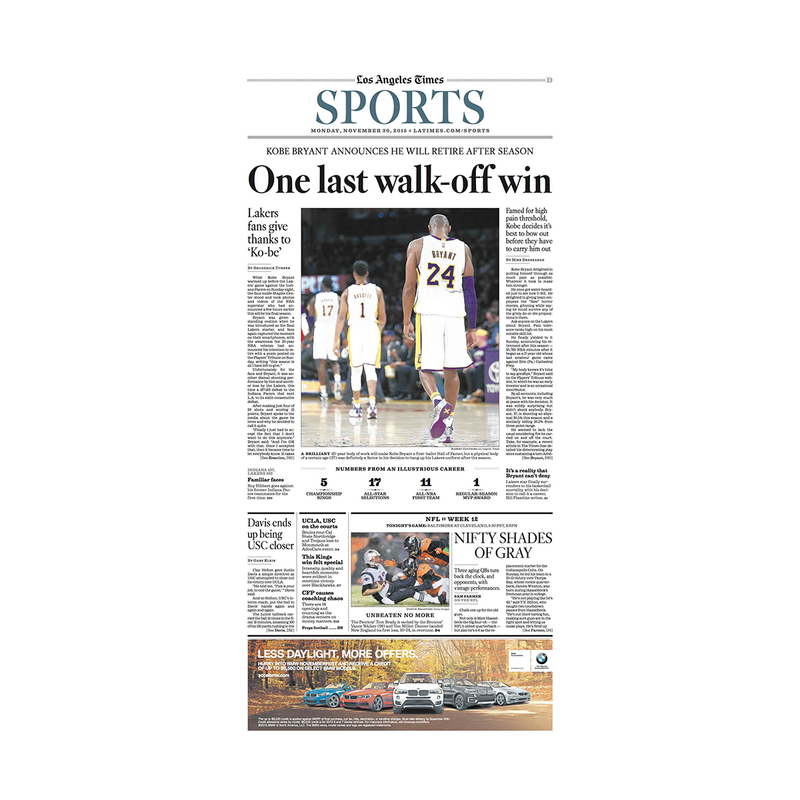 Authentic press printing plate of Kobe Bryant's retirement announcement featured on the front page of the Sports section of the Los Angeles Times on 11/30/2015. Suitable for framing. Product image is of page, not actual printing plate. 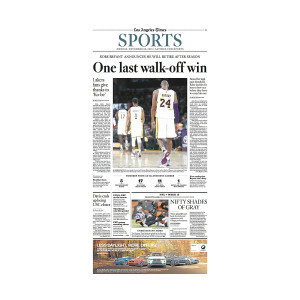 Authentic press printing plate of Kobe Bryant's retirement announcement featured on the front page of the Sports section of the Los Angeles Times on 11/30/2015. Suitable for framing. Framing option: framed with mat in an 18"x24" black wood frame with custom mat that fits the 11.5" x 22" plate size.